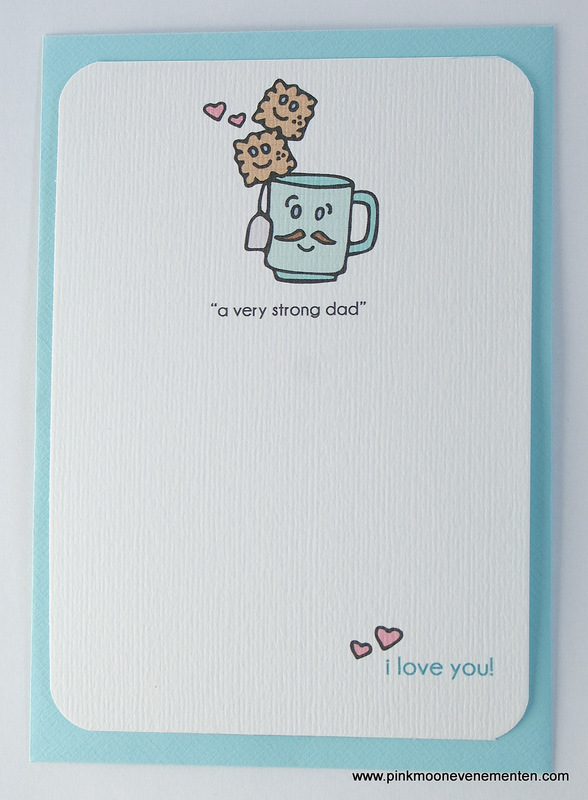 “A very strong dad” is a funny card to send to the fathers in your life to show them how as strong as good tea they can be. All illustrations are hand drawn by Mara in her characteristic whimsical style, scanned, digitally colored and printed on heavy cardstock. Buy A very strong dad card HERE. Posted on April 6, 2013 by maraoudenesPosted in stationeryTagged cookies, father's day, funny card, illustration, mug, strong, whimsical style.